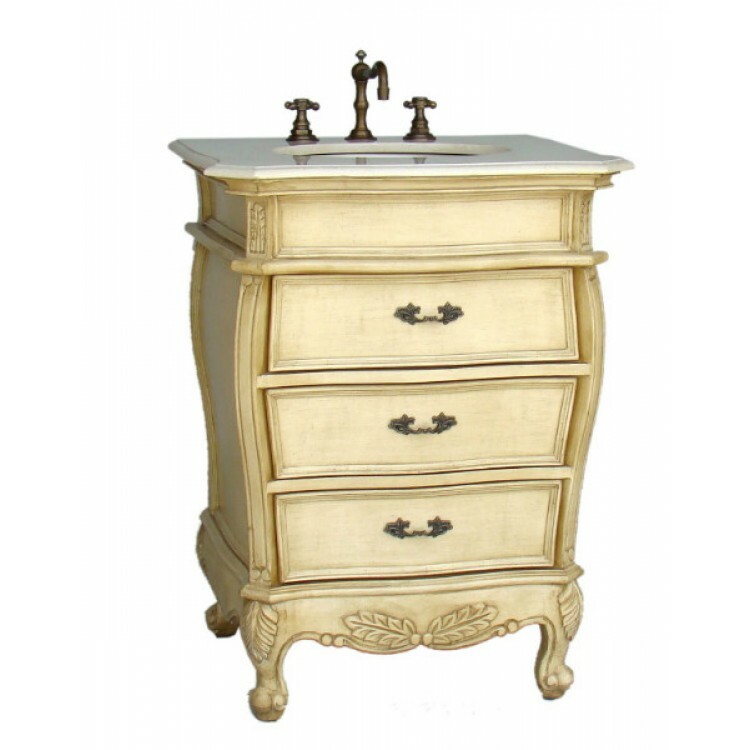 Exquisite workmanship and timeless design are the hallmarks of the Clover Vanity. 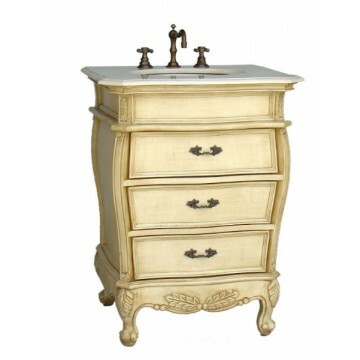 This hand-crafted, pastel finish French-styled vanity is crafted from the finest Birch and finished with wood veneering. 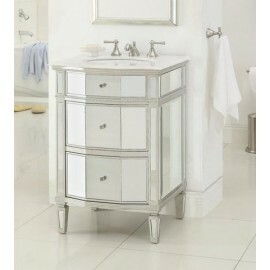 Three functional drawers offer spacious storage space for towels and other essentials. Top drawer has a U-shape cut out for easy plumbing access. 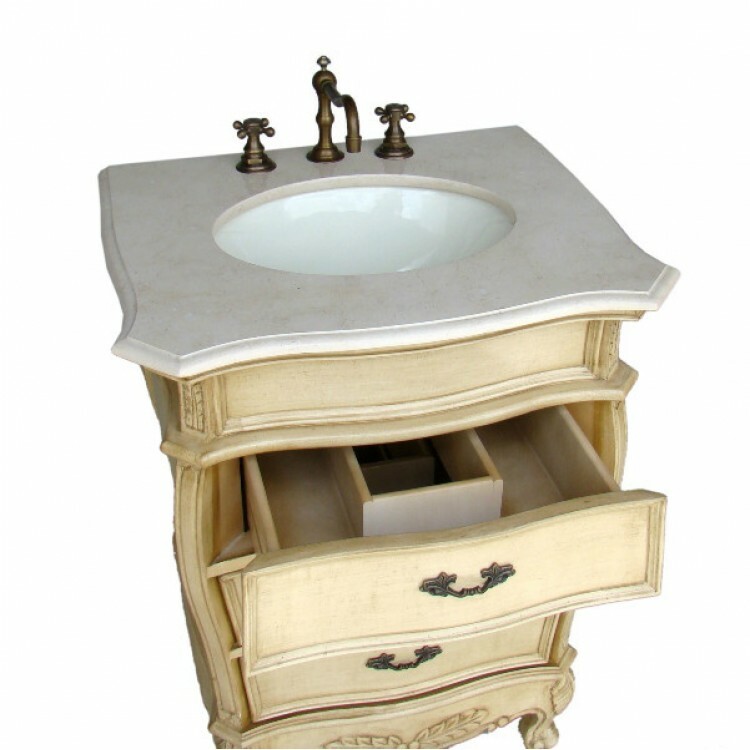 The top is cream marble with an under mount bisque ceramic sink.